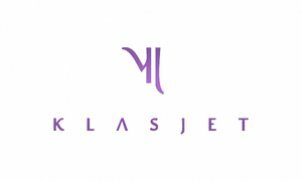 KlasJet is a European charter carrier, specializing in private and corporate charter flights as well as comprehensive aircraft management solutions. Operating a fleet of uniquely designed Challenger 850 jets based in Vilnius, Lithuania, as well as other airports across Russia, Eastern Europe and the CIS, KlasJet is perfectly positioned to provide ad hoc and VIP flight services to customers and partners at any place and time. Moreover, with own heated hangars in Lithuania as well as in-house EASA Part-145 capabilities, KlasJet is a trusted partner of aircraft owners worldwide. The company‘s wide network of customers and partners allows aircraft owners to enhance the efficiency of their fleet as well as to significantly reduce costs related to aircraft maintenance and operations. The company‘s own team of pilots, air hostesses and other professionals fluently speak both English and Russian thus ensuring flawless communication and full understanding of customers‘ needs.